The elongated spikes for Genesis Base tripods. Weight hook for the central column of Genesis Base A1, C1 and ABT-series tripods. 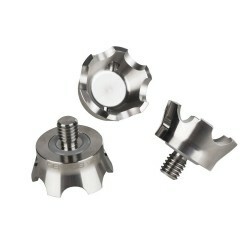 A set of locking pads (2pcs) for Genesis Base twist-locked tripods. Fit around the 32mm leg section. 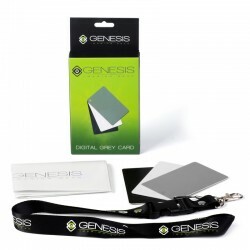 A set of locking pads (2pcs) for Genesis Base twist-locked tripods. Fit around the 28mm leg section. A set of locking pads (2pcs) for Genesis Base twist-locked tripods. Fit around the 25mm leg section. A set of locking pads (2pcs) for Genesis Base twist-locked tripods. Fit around the 22mm leg section. 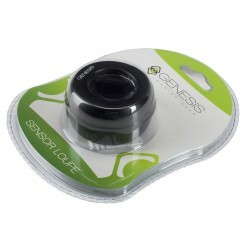 A set of locking pads (2pcs) for Genesis Base twist-locked tripods. Fit around the 19mm leg section. A replacement soft rubber foot for Genesis Base A5 and C5 tripods (1pc). A replacement soft rubber foot for Genesis Base A3 and C3 tripods (1pc). A replacement soft rubber foot for Genesis Base A1 and C1 tripods (1pc). Replacement standard foot spike for Genesis Base A and C-series tripods (1pc). Replacement leg foam for Genesis Base A5 and C5-series tripods. Weight hook for Genesis Base A3 and C3-series tripods. Replacement leg foam for Genesis Base A3 and C3-series tripods. Weight hook for Genesis Base A5 and C5-series tripods. Replacement leg foam for Genesis Base A1 and C1-series tripods. Loupe with LED illumination for camera sensor cleaning. The pocket reference cards to set exposure and white balance. Genesis Base tripod claws help keeping the tripod stable on slippery surfaces. 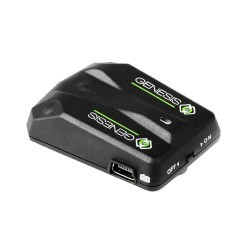 Genesis GPS-N is a compact GPS unit dedicated for selected Nikon cameras. Thanks to this device, photographs taken in open space can contain specific data about geographic location and altitude of the camera. Genesis Base RF-80 to gumowe, okrągłe stopki do statywów o podwyższonej przyczepności i średnicy 80mm, mocowane na gwint 3/8". Genesis Base RF-50 to gumowe, okrągłe stopki do statywów o podwyższonej przyczepności i średnicy 50mm, mocowane na gwint 3/8".